Cold wave lotion is a grooming product that is used to style hair through a process called cold perm. Cold Wave Lotion Poisoning is the accidental or intentional intake of any product containing the compound. An exposure can also take place when the lotion inadvertently affects the skin or eyes. What is Cold Wave Lotion Poisoning? What are the Causes of Cold Wave Lotion Poisoning? What are the Signs and Symptoms of Cold Wave Lotion Poisoning? How is First Aid administered for Cold Wave Lotion Poisoning? Who should administer First Aid for Cold Wave Lotion Poisoning? 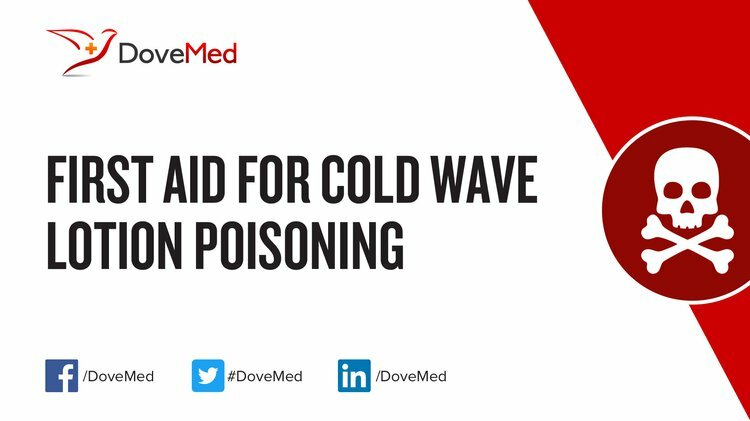 First aid for Cold Wave Lotion Poisoning is administered by healthcare professionals. What is the Prognosis of Cold Wave Lotion Poisoning? How can Cold Wave Lotion Poisoning be Prevented? Lee, C. M., & Inglis, J. K. (2014). Science for hairdressing students. Elsevier. Rauber-Lüthy, C., & Kupferschmidt, H. (2010). Household chemicals: management of intoxication and antidotes. Molecular, Clinical and Environmental Toxicology, 339-363. CHRISTENSEN, B., FRANCKE, D., FISCHELIS, R. P., & SCHAEFER, H. H. PRACTICAL PHARMACY EDITION. Bateman, D. N. (2012). Household products. Medicine, 40(3), 125-126. Xie, N., Ding, X., Wang, X., Wang, P., Zhao, S., & Wang, Z. (2014). Determination of thioglycolic acid in cosmetics by capillary electrophoresis. Journal of pharmaceutical and biomedical analysis, 88, 509-512. Goldenberg, A., & Herro, E. M. Sharon E. Jacob, MD, is Associate Professor of Dermatology, Loma Linda University. Ebbehøj, N. Reproduction damages by working with hairdressing chemicals?.